The Barker Adoption Foundation has worked in India for more than 30 years. Barker has a long history of working cooperatively with the Indian government’s Central Adoption Resource Authority (CARA) and with orphanages throughout the country. Barker’s staff have significant international adoption experience, are passionate about helping children and will guide you through every step of the process. And our services don’t stop at placement. Working with Barker means you will have life-long and ongoing opportunities to be a special part of the Barker adoption community of adoptive families. 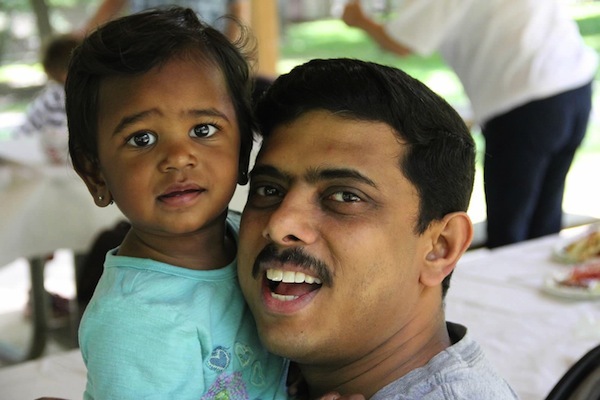 If you have questions about the children or the India adoption process, please contact us. We are eager to talk to you! CITIZENSHIP: At least one parent must be a United States citizen. MARRIAGE: Heterosexual married couples with 2 years of stable marriage. Single females may be eligible. AGE: Parents must be at least 25 years old and there must be a 25 year age difference between the child and the youngest parent. To adopt children ages 0-4, parents' combined age cannot exceed 90 (45 for singles). To adopt children ages 4-6, parents combined age cannot exceed 100 (50 for singles). SPECIAL CONSIDERATIONS: Domestic families in India and Indian Passport Holder (NRI) families are given priority. EXISTING CHILDREN: Families cannot have more than 2 children already in the home An exception allows families with 3 or more children to adopt a child with special needs. HISTORY: All adopting parents must show good moral character with no criminal history. All adopting parents are required to complete a psychological evaluation. AGE AT REFERRAL & PLACEMENT: Children's ages range from 6 months to 5 years at the time of referral and then 12 months to 6 years at time of placement. CARE IN COUNTRY: Children reside in orphanages. BIRTH PARENTS: Children are abandoned by birth parents, no background information is available. BACKGROUND INFORMATION: Referrals presented include limited medical information (but allow families to ask for a doctor visit), relinquishment history, limited development information, and a photo of a child. GENDER: Families can request a specific gender, but need to be aware of delays when doing so. COMMON NEEDS: Delays, malnutrition, minor/correctable issues (such as club foot), institutional care, potential abuse and neglect history. Submit an adoption application to Barker. Complete the pre-adoption group, the on-line training, and the home study. Complete and submit an adoption dossier for India. Receive a referral of a child approximately 24 months after the dossier is sent to India. Once a referral has been accepted, travel to India about approximately 6-10 months after referral acceptance. This time may be expedited for children with significant special needs. Stay in India for approximately one to two weeks. While some situations allow for just one parent to travel, we strongly encourage both parents to travel. Other cases may require both parents to travel and may also require additional time in country. Return home to the United States with your child. Your child automatically becomes a U.S. citizenship upon entering the United States. Send a copy of your child’s Certificate of Citizenship to Barker once received. Your social worker will guide and support you through this important time. Your social worker will visit with you within the first month, during the third, sixth, ninth, fifteenth, and twenty-first months after you return from India. Contact us to learn more about International Adoption.